Support came from Jim Lockey & The Solemn Sun and Tim Barry. The first of which, weren't particularly my cup of tea but they went down well and seemed to warm the crowd up considerably while people took their places ready for the headline act. Tim Barry on the other hand was mesmerising. I had never heard of him before the gig, but was pleasantly surprised after hearing his set. Much like Frank, Tim was once the front-man of a punk band, and now tries his hand at more folksy-acoustic music. Also like Frank, he does this extremely well. His songs are humorous and stimulating, especially Dog Bumped, which was a personal highlight for me. 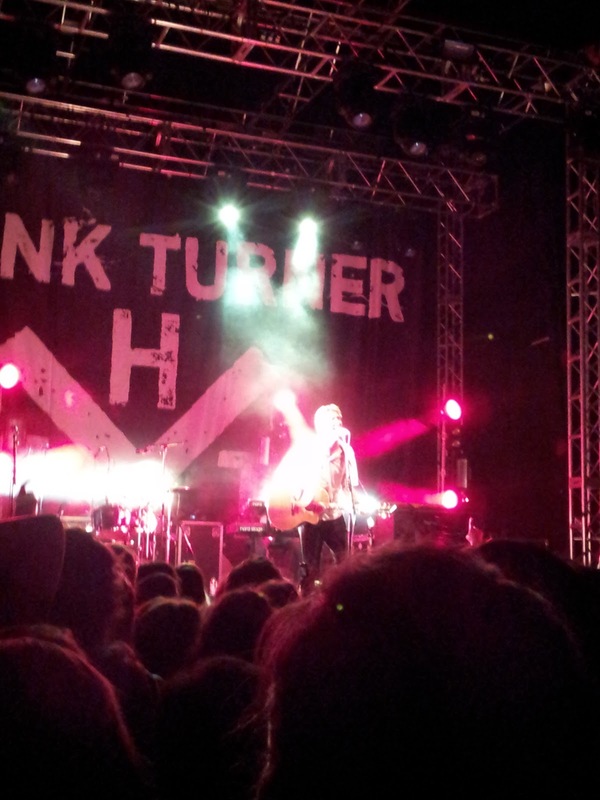 The academy didn't take long to fill up, and a quick scan around the room made it evident that Frank Turner appeals to a large range of people. From teenagers to the middle aged, everyone was ready and in good spirits....some more than others! When Frank appeared on stage, the reception was epic. I Am Disappeared, was the opener and a great way to kick start the gig. The faces of people in the crowd beamed as the devoted fans yelled every lyric back to Frank with the same enthusiasm he delivered to them. I have to admit, I'm not the most devoted fan by any means, but one of the things I love about the songs of Frank Turner is that, you can listen to one that you've never heard and a minute in, you've grasped the chant-like chorus and its suddenly your favourite song. A highlight for me was The Road. One of my favourite songs anyway, but as its a song about being on tour and feeling free, hearing it played live on his tour, really put it into perspective. Another thing I adore about Frank is that some of his songs are extremely relaxing and light-hearted, while others are edgy and fast-paced - but no matter the pace or point of his songs, every single one is uplifting and motivational. One that particularly emphasises this is Reasons Not To Be An Idiot. The energy throughout this song from both Frank, The Sleeping Souls and the fans was second to none. 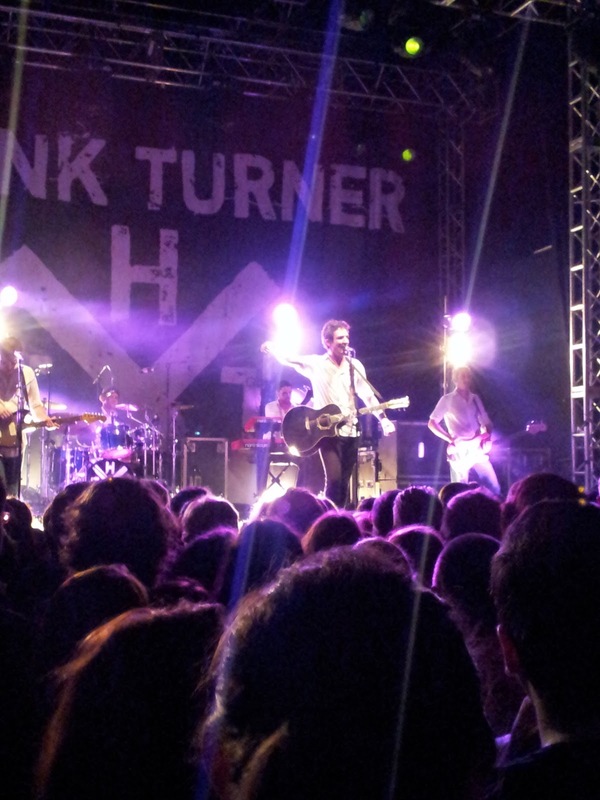 Turner has an inspiring ability to bring a whole venue of complete strangers together in unity. Though the crowd are alien to one another, a glance around during one of Frank's choruses just shows that they are all united in their love for such a talented artist. Frank premiered a new song later on in the main set - Anymore - a simple song, just him, his guitar and some emotional yet beautiful lyrics. Being the big softy I am, this song moved me to tears and was actually the most memorable part of the gig for me. A prime example of what an amazing songwriter Frank really is. I Still Believe marked the end of the main set, before Frank and the band returned for my favourite song, If Ever I Stray, which got a brilliant reception. A real crowd pleaser, due to its chant-like chorus and catchy lyrics, the fans lapped it up. Frank played fan-favourite Photosynthesis, before a brilliant finishing performance of Dan's Song. In which he took to crowd surfing, and subsequently disappeared for 5 minutes amongst the fans while they basked in his company. He finally returned to stage somewhat dishevelled and missing a shoe, but still smiling and thankful for the loyalty and adoration of his fans. 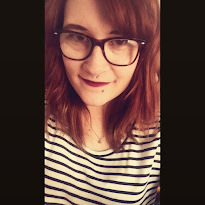 Overall, the gig was amazing, as expected. 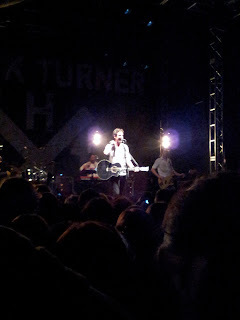 Frank Turner and the Sleeping Souls delivered a gig, which was up there with the best of the best. I exited the venue with a smile on my face and a new favourite artist. After the gig, I actually met Frank and this point was just reiterated. Clearly dazed and recovering from his epic gig, he still found the time to pose for pictures and meet his fans waiting outside. 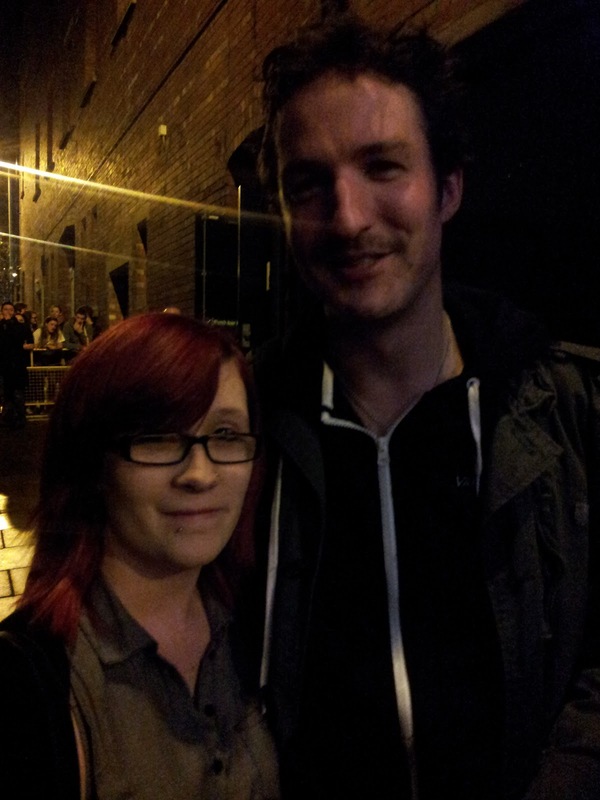 Frank Turner truly is, a wonderful artist and a wonderful human being and I for one, can't wait to see him tour again.